Rio de Janeiro (CNN) A group of Brazilian scientists have detected a drug-resistant bacteria growing off of some of Rio de Janeiro's most stunning beaches, one month before the city is due to host the 2016 Olympic Games. The news comes as Rio prepares to host hundreds of thousands of athletes and tourists during next month's Summer Olympics. 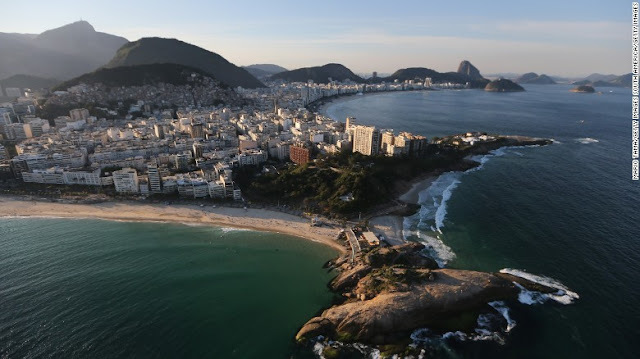 Among the beaches flagged were Flamengo and Botafogo, which border the bay where Olympic sailors are scheduled to compete. "It's a nice sailing area but every time you get some water in your face, it feels like there's some alien enemy entering your face," German Paralympic sailor Heiko Kroger said during a recent visit to Rio. "I keep my nose and my lips closed." Kroger believes the super bacteria may have caused a severe skin infection in one of his teammates during recent training.